Opening Day – a term that rings excitement, anxiousness, joy, enthusiasm and, if you’re not prepared…pressure. Pressure to be prepared, to sell sponsors, to advertise events, to make sure Opening Day is everything your fans, community, and players have been waiting for… and more. 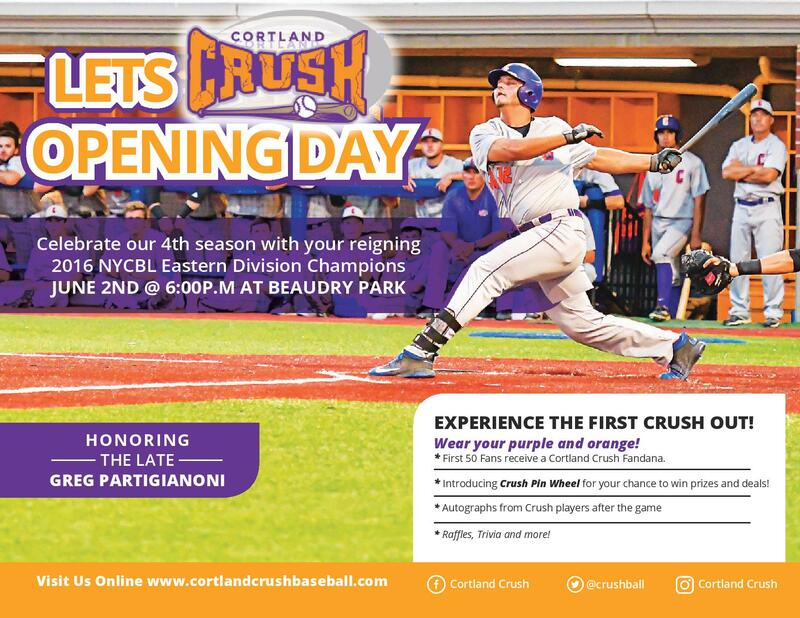 The Cortland Crush located in Cortland, NY, bring in the season with a home opener on June 2nd. The Cortland Crush are an NCAA sanctioned member of the MLB endorsed NY Collegiate Baseball League. They decided to partner with Infinity’s graphics solutions, G-Force, to assist with season preparation. In doing so, the Crush have increased reach and engagement through social media graphics, advertisements, schedules, and infographics. Graphics on their social media feeds grab attention while also displaying pertinent information for followers and the schedule printout uses imagery and design that makes the message stick. Do you need to make your message stick? Imagery can help highlight the core elements in your message so it’s easier for viewers to absorb. Limited space forces you to eliminate jargon and focus on the most important details. G-Force can be the driving force behind your creative content. Try it for free for 14 Days! Click here to get started.